Today is the first week of our Fall classes at church and I am teaching 1st grade girls on Wednesday nights. I have a fear of speaking in front of groups of any kind (and any age.) And I know that I am not alone. I have found, however, that being really, really prepared is a huge help to me. So, I’m going to share a lesson that has worked for me. 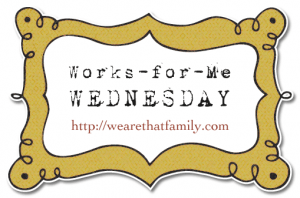 I’m linking up to Works for Me Wednesday over at We are THAT Family. What are some ways you can become physically strong? Just like we need to exercise and take care of our bodies to be physically strong, there are certain things we can do to be strong in the Lord. 5. Attend worship and Bible study. When we are strong in the Lord, we can do things that we could not do on our own. 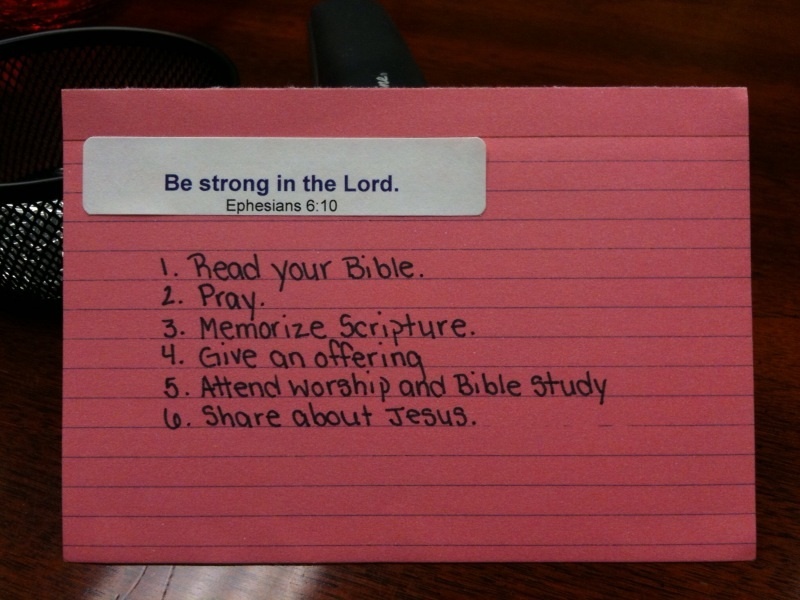 Send home a Scripture card. I think you are going to do a great job tonight! Your lesson plan looks good! Can’t wait for tonight!!! Talk about how part of our ability to be strong in the Lord comes from knowing God’s word, the Bible. Or have 3 volunteers – one stacker and two holders of the Bibles. Allow everyone a chance to participate in some manner. Oops. I miss counted – 11 Bibles! I love that idea, Carol!! I am SO doing that tonight.